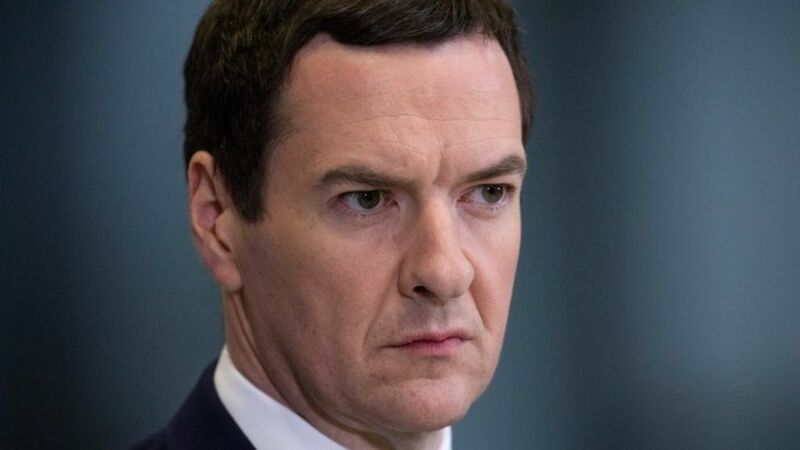 Former chancellor George Osborne says he is quitting the House of Commons “for now”. The Conservative MP for Tatton said he was “very excited” about becoming the new editor of London’s Evening Standard newspaper. He told his local Tory party he would be using the role to provide “straight facts and informed opinion” through the paper’s general election coverage. MPs have backed Theresa May’s call for a snap election on 8 June. In a letter confirming he would not be seeking re-election, Mr Osborne said: “I want a Britain that is free, open, diverse and works with other nations to defend our democratic values in the world. Mr Osborne said that at the age of 45, he did not to spend the rest of his life “just being an ex-chancellor”. “I want new challenges,” he said. He added: “More so than at any time in my life, the public need from the media the straight facts and informed opinion to help them to make the big decisions Britain now faces about the country we want to be. Following last month’s announcement that Mr Osborne would be taking over as editor of the London-based free newspaper from Sarah Sands, questions had been asked about how he would combine that role with being an MP for a northern constituency. Labour leader Jeremy Corbyn described the appointment as a “joke” and called for an immediate by-election in Tatton. Labour shadow minister Andrew Gwynne said it was hard to defend Mr Osborne holding down several “time-consuming” roles which had a “deep overlap” with his responsibilities as an MP and former minister, saying it risked throwing up “conflicts of interest”. But Mr Osborne defended himself, adding that he believed having MPs who could draw on outside experiences was good for Parliament as it enabled former ministers, in particular, to “continuing to contribute to the decisions we make”. Mr Osborne, who was chancellor for six years, had ambitions to be a journalist as a young man. He failed to get a place on The Times’ trainee scheme after graduating from Oxford University – at which he edited its Isis magazine – and was briefly a freelance reporter on the Daily Telegraph’s diary column. Since being axed as chancellor by Theresa May when she became PM last July, Mr Osborne has picked up a number of other jobs.